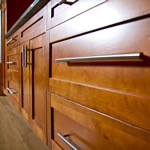 Laminate cabinets have long been the choice of those with tight finances, but recent developments in laminate design offer more decorative potential for kitchens and other rooms in your home. Laminates of old came in a limited number of styles and colors. Today, this material has taken on a whole new look with an ever-growing range of colors, including wood-grain that resembles the real thing. 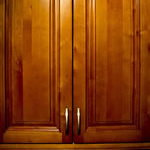 These cabinets are valued for their ease of maintenance, ability to hide scratches and flexibility when it comes to refacing. 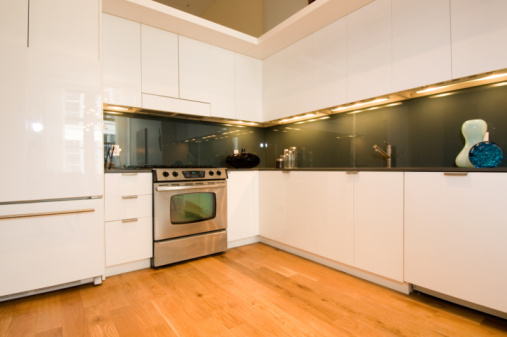 Low-pressure laminates, often the most affordable, may chip and crack over time. However, with advances in technology, small chips and torn edges can be repaired. High-pressure laminates are more expensive but also more durable. No matter which laminate you select, proper cleaning and protection from moisture and heat can help you make sure that the product looks good for years to come. 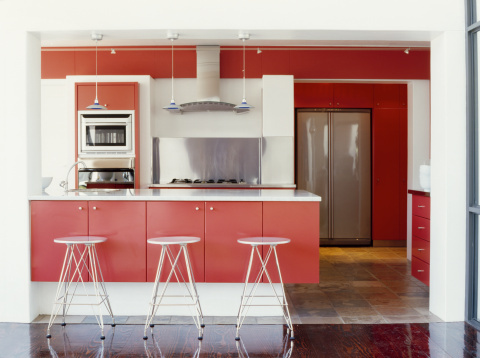 Arched cabinets can transform a ho-hum kitchen or bath. See what replacing, refacing or adding this style of cabinetry in different materials and finishes can do for your rooms. 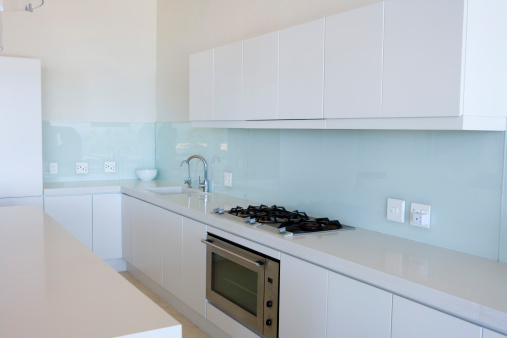 Raised cabinets can solve the dilemma of how to blend traditional and contemporary design features. Look at this classic style of cabinetry as the element that pulls it all together. You might be familiar with recessed cabinets from your bathroom medicine chest, but you can carve out space from your walls almost anywhere. 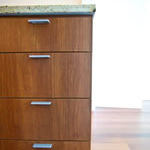 See how to create stylish cabinetry without reducing your room's size.